A cou ple of weeks ago I discovered a new expression: ‘horizon therapy’. I came across it in an exhibition at the British Museum in London. I had spent two days at a symposium on inclusivity in engineering education and when it finished, I sauntered into the British Museum for a bit of mind-wandering [see my post entitled ‘Mind-wandering‘ on September 3rd, 2014] because the museum had late-night opening and I had a couple of hours before my evening train home. I wandered into an exhibition called ‘Living and Dying’ that contained an installation called ‘Cradle to Grave‘ by Pharmacopoeia and funded by the Wellcome Trust. No explanation was given for the term ‘horizon therapy’ that appeared under a snap-shot of a man admiring a sea-view. However, I assumed it meant achieving that feeling of well-being that derives from looking at a distant horizon with a ‘big’ sky above it. It induces a sense of oneness with the world and a sense of calm associated with the wide-open space. I find it can happen at sea, on the beach, in the mountains or on the open plains. I suspect that it’s part of the reason so many city-dwellers head out to these places at every opportunity. 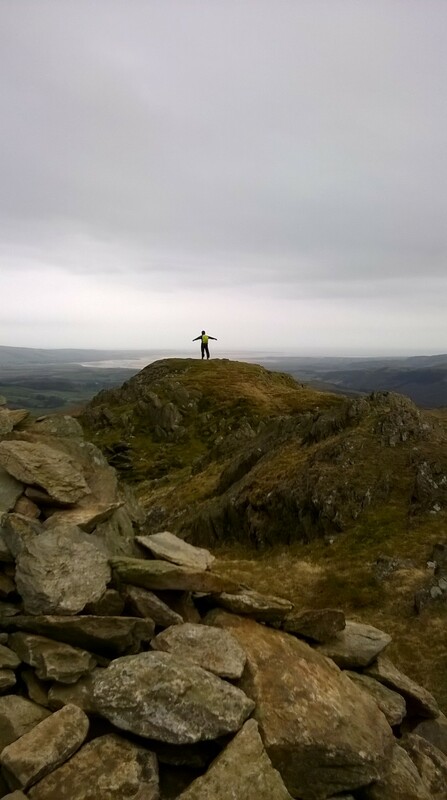 We did during the Easter break and the photo shows one of my daughters soaking up ‘horizon therapy’ on the top of Stickle Pike in the English Lake District. So, next time you are feeling hemmed in by the problems and pressures around you, seek out some horizon therapy; even if there is only time to climb to the top floor of the nearest tall building and soak up the view. This entry was posted in Soapbox, Uncategorized and tagged British Museum, calm, gadget stress, mind-wandering, oneness, slowness on May 4, 2016 by Eann Patterson. I enjoy your how to live life more qualitatively posts. I would not have known about this exhibit. Two unrelated comments. In the U.S., Montana is called “Big Sky” country because of the vistas, but surprisingly the wide open, expanses of acres and acres of Mississippi delta flatlands are also eye (and spiritually) opening as well. Secondly, just this week, an alarming report was issued about antibiotic use in the U.S. I thought the U.S. had gotten this under better control, but apparently not. The gist was that 30% of antibiotic RXs are wrong medically, and shockingly children under two y/o receive the most amount of antibiotics.